If anything is going to save the various categories especially vulnerable to price and margin erosion it is targeted innovation. Uniden has held the top spot for more than a decade in home phones, a position it is looking to solidify despite the concerted challenges from smartphones. The latest piece of technology to be introduced by the Japanese brand is an emergency alert pendant, which can be worn around the neck and used to call preset contacts, such as emergency services and family members, in the end of a fall, accident or impending disaster. No amount of price erosion will stop Uniden from innovating in the category it has owned for the past decade. 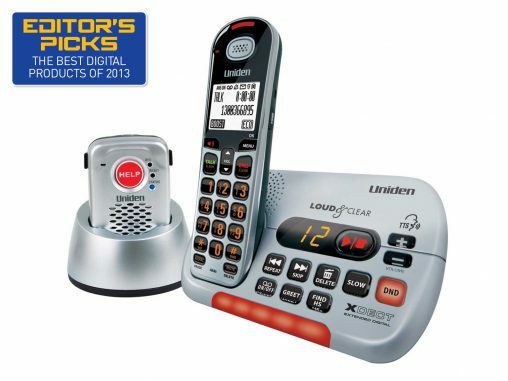 By adding an emergency alert pendant to selected cordless phones in its range, it has created a whole new market for its products. Best Feature: In addition to the Pendant, the big buttons are great for older Australians. The rollout of the NBN will certainly allow for more features and for VoIP compatibility to take off with the traditional home phone. Landline connections will not only be mostly offered by the telcos but by all Internet Service Providers (ISPs), which will bundle it with their high speed data packages. Already now, many of the ISPs are offering home line and internet packages but we will see a rise in VoIP data packages once the NBN becomes more readily available to most areas in Australia.